Another tool, which most artists and photographers will be familiar with, is a Light Table. This tool assists artists and photographers with reviewing their work ensuring the highest quality only. A classical light table will show the artist the place on the images to touch up. Well in digiKam, the light table function provides the user a similar experience. You can import a photo, drag it onto the light table, and touch up only the areas that need it. Following the release of 5.6.0 published in June, the digiKam team is proud to announce the new release 5.7.0 of the digiKam Software Collection. In this version a lot of work has happened behind the scenes and in fixing bugs, which does not mean there is no enhancements: A new tool to create print layouts has been introduces, albums can now be exported by mail, support for Hugin 2017 was added and GPS traces are storable as KML. Gilles Caulier updated the bugs categories and went through all of them to reassign them to the correct category and find no longer valid or duplicate bugs. The immediate result of this is an enormous list of resolved issues in this release. However this is not the main benefit: The change makes it both easier for issue reporters to find an appropriate category as well as for developers to get an overview and find issues relevant to specific parts of the code. This wizard allows you to print multiple images in various configurations. If the aspect ratio does not fit the printing format, you can choose which part of the image to crop (if at all). The result can be sent directly to a printer, to GIMP or to a file. The tool is available in all modes: Main view, light table, editor and showFoto through the tools menu. In the main view it is also accessible in the right sidebar in the tools tab. The long awaited tool to send pictures by email is here. You can set an upper limit to the email size, convert images on the fly and remove all metadata from the files. The supported email clients are visible on the screenshot above. As the Print Creator, this tool is accessible throughout the program. The time of the four students working on digiKam has ended officially. They have handed in their final report, but it will hopefully not be their final contribution. 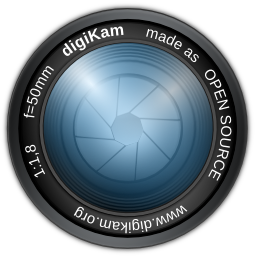 They have made real progress for digiKam and we hope they will continue helping making this software better. You can find a description and their final report on the official GSoC project page. We want to thank Yingjie Liu, Swati Lodha, Shaza Ismail Kaoud and Ahmed Fathy for their contributions!